Protip – trying to create a Valentine’s Day breakfast the same morning you are recording a radio program probably is not the best timing. 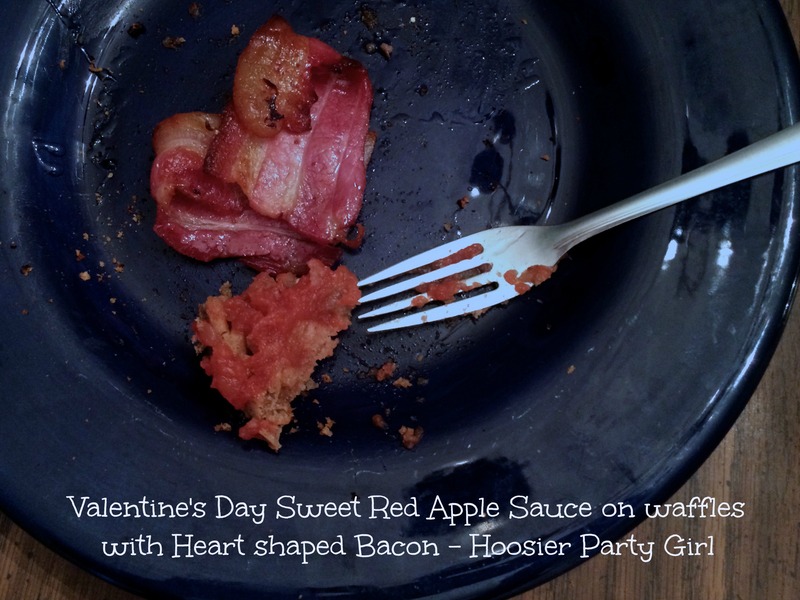 Not all of my bacon hearts stayed together, but luckily, it was enough to convincingly celebrate for my kiddo. Mostly, he was thrilled with the stuffed “tiger” holding a heart that read “I love you.” It doesn’t take much for kids. I actually did try to keep it pretty simple. Heart shaped can be created by cutting the bacon slices in half then folding two halves into a heart and baking the bacon. I adjust the temperature depending on my timing and just keep an eye on it until your bacon is the perfect done-ness for you. I did use toothpicks in some of the hearts to help them keep their shape while baking. You will likely need to remove them from the pan with a spatula. 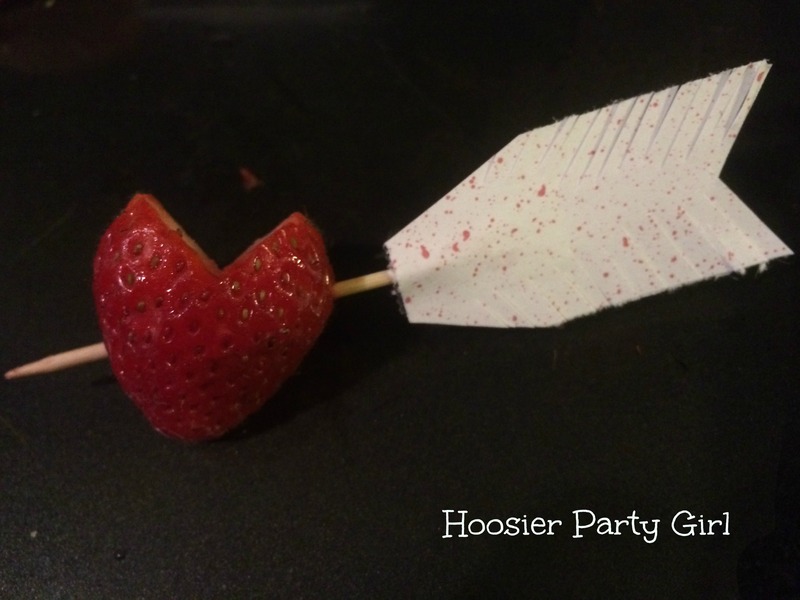 For the class party, I was assigned “something fun but not sugary”, so I cut fresh strawberries into heart shapes by cutting the stem off with a V and piercing them with Cupid Arrow Toothpicks. For the Cupid Arrow Toothpicks all you need is some patterned paper, toothpicks, scissors, and double stick tape. I cut the patterned paper into 1″x2″ strips and taped a toothpick in between two pieces. I then cut them into feather shapes, making sure to cut diagonally down the sides. I was late to the party, but apparently all the moms in attendance liked them. You could also add an arrow tip by adding two triangles to the other end of the toothpick, but many of my strawberries were pretty large, so I kept it simple.